Learn how to preserve the season with this introduction to canning workshop! During this three-hour, hands-on workshop, participants will learn the basics of at-home preserving, starting with how to process homemade jam, pickles, tomato sauce, and whole tomatoes. Each participant will leave the workshop with one of each item, as well as the recipes and knowledge to keep canning on your own! 10% off for all Chatham Alumni! Miranda Hileman is part of the fourth generation of Kistaco Farm and is passionate about food preservation. She graduated from Berea College in 2009 with a degree in Sustainable Agriculture. After graduating she was awarded a one-year Compton Mentor Fellowship to develop community and school gardens in Lexington, Kentucky. Following the fellowship she spent 5 years working with farmers across Kentucky, helping them with marketing strategies and production challenges for the Kentucky Cooperative Extension Service in the Department of Agricultural Economics at the University of Kentucky. She moved back to Apollo in 2015 and currently works full-time with her family to create a more profitable and sustainable farming business. Most often you'll find her selling their homegrown fruits and vegetables at their on-farm market, or planting seeds in their greenhouse and managing high tunnels. 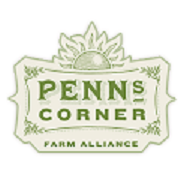 Kistaco Farm has been a member of Penn's Corner Farm Alliance since 2002 and has been providing value-added products to their customers for several years now. She's excited to share her home canning knowledge with the community!